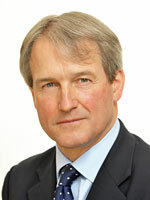 As Environment minister Owen Paterson sits down this morning with government colleagues at the COBRA emergency committee to discuss the 10 day long battle against storms and floods, he should reflect on the need to clarify exactly when and how government should step in to deal with the consequences extreme weather incidents. I have said several times that one of the greatest weaknesses in the current Flood Re insurance scheme being debated alongside the Water Bill is the government’s refusal to be honest about the need for it take control – and pay – when 1-in-200 year weather catastrophes strike. This shortcoming has been raised during the debates on the Water Bill but has so far been shrugged off by ministers who seem more concerned about grabbing any surplus money in the Flood Re fund should it ever find itself in that fortunate position. The fear about the extreme weather incidents which renders an insurance industry-led response inappropriate, if not impossible, is the potential for significant infrastructure damage and the need to protect life ahead of property. The current storms fall well short of the 1-in-200 year measure but have nevertheless vividly illustrated my concerns. Sadly, we are hearing almost daily of more loss of life as a result of falling trees and flooding: the government’s first concern has to be to protect people and it needs to look very carefully at how it could do this when faced with vastly more severe weather. Our infrastructure is fragile as it wasn’t built to cope with the more intense weather extremes we experiencing with increasing regularity. The response of power companies and local authorities over the last week has been appalling. Thousands of households left without power over Christmas and whole communities apparently abandoned by councils is a chilling glimpse of the crisis we will face when a real 1-in-200 year weather incident hit us. By all accounts, the response of the insurance industry has been as good as anyone could expect in the circumstances but there is only so much they can do when the public and infrastructure services are failing. This is why the government must be honest about its role which clearly needs to be greater, better co-ordinated and far more comprehensive with a proper set of emergency powers put in place – which should extend well beyond calling a few COBRA meetings and sending the Prime Minister out on a botched PR mission. Hopefully, when Parliament returns to debate the Water Bill and the proposed flood insurance scheme it will do more to get the government to face up to the need for greater honesty and realism about when it needs to step in even if the potential cost might frighten the Treasury horses.